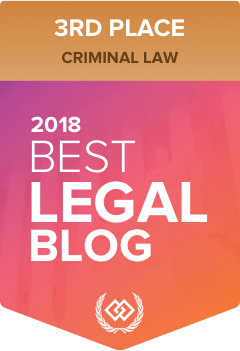 If you read my firm's blog, you've probably read that we are consistently the top law firm in British Columbia for Immediate Roadside Prohibition for DUI cases. I wanted to write a short post breaking down some of the statistics over the past few months, so that people can better see the success that our firm has had, and in particular the success that I have had in defending these cases. Frequently, clients who phone ask me who the best lawyers are to defend Immediate Roadside Prohibition cases. It's not uncommon for people to want to shop around to find the best person, at the right price. I wish that I could answer these clients with the statistical information, but it's impossible to do a hyperlink over the phone. So I'm providing the information here. What numbers are we looking at anyway? Breaking down the statistics from the past six months is likely the most relevant. So I'm looking at IRP review cases from May, June, July, August, September, and October 2015. For the months of June, July, and August, 2015 the winning cases were published on the BC Government's Open Information Website after a Freedom of Information request made by a member of the media. The numbers from May, September, and October were obtained by Freedom of Information requests made by my office. The BC Government deliberately leaves in our client information so that the decisions cannot be published on the Open Information website. My suspicion is that they are embarrassed by how many IRP cases are won by me and other lawyers from our office. But all this information can be verified by making an identical request, if you have doubts about its veracity. How many IRPs were issued in each month? Each month had roughly the same number of IRPs iss_ued, and roughly the same number of hearings conducted. There were slightly more in the summer months which is consistent with my experience. People are out more in the summer, and so the drinking and driving numbers tend to rise. There is also typically a spike in the number of IRPs issued at Christmas time. October is usually the month with the fewest number of IRPs issued. This represents the total number issued by police, regardless of whether they were for refusing to blow, for blowing a "Fail" or for blowing a "Warn" reading. This means that in a six-month period, police in British Columbia issued 8,462 Immediate Roadside Prohibitions. When you factor in the number of investigations which resulted in a criminal charge for impaired driving, or a 24-Hour Prohibition for alcohol or drugs, there were likely more than ten thousand separate impaired driving investigations during this six-month time period. How many IRPs were disputed and how many were revoked? I also managed to obtain the numbers that show how many IRPs were disputed in each month, and the total number that were revoked. Again, you'll see a spike in the summer months. This is in part due to an increase in the number of cases, but also due to an argument that I discovered that led to hundreds of Immediate Roadside Prohibitions being revoked for improper calibration procedures. The evidence on that issue has now changed, but that's a whole other blog post and an issue that's headed to BC Supreme Court soon. October: 232 review hearings conducted, 80 Immediate Roadside Prohibitions revoked. These numbers are all the review hearings conducted by all lawyers and self-represented parties in each month. This means that the success rate remained consistent at between 35%-45% for those months. These numbers are surprising, given how few Immediate Roadside Prohibitions are disputed overall. If you do the math, you can see that roughly 20% of people issued an Immediate Roadside Prohibition will dispute it. But with success rates at around 40% for those that do dispute it (regardless of whether they have a lawyer) then the chances of success are greater than the Government would have you think. Imagine if the remaining 80% of people who were issued IRPs bothered to dispute them. There might be more IRPs revoked each month, assuming the success rate stays the same. It's also something that raises significant questions about the effectiveness of the IRP scheme itself. If 40% of those disputed are revoked, then it's reasonable to assume 40% overall would be revoked. All of a sudden, the IRP law seems less valuable and more frightening. Imagine - if you got pulled over and investigated by police for drinking and driving, there is a 40% chance the police did it wrong. That's not the type of policing we expect in a free and democratic society. And this is all remembering that the IRP scheme provides no remedies for Charter violations, which means that the police get it wrong in law a lot more often. Only there's nothing you can do about it. What does my success look like? As I mentioned, I work at the top IRP defence firm in the province. And I succeed in more IRP review hearings than any other lawyer on a month-by-month basis. There are benefits to immersing yourself in an area of law, understanding the science and technology behind the approved screening device breath tests, performing the calibration process, and being at the forefront of the most interesting legal challenges to this law. Statistically, there is a benefit to calling our office and to hiring me to defend your Immediate Roadside Prohibition case. Our firm succeeds in more than any other law office, and often in more than all of the leading law offices combined. This isn't manipulating statistics to show an unreliable number. You can see from the IRPs for which review hearings were conducted in each month that a significant percentage of overturned IRPs were clients of mine, each month. I have been involved with the IRP scheme and challenges to BC's DUI laws since the law was introduced. My success in these cases is evidence of the high degree of technical knowledge and training that I have when it comes to defending impaired driving and Immediate Roadside Prohibition cases. My firm has access to all of the calibration equipment, all the roadside breathalyzers used by police, and the manuals that police are trained on. Knowing the training, knowing the science, and knowing the process is what sets me apart. If you've received an Immediate Roadside Prohibition and are wondering which law firm you should call for your best chance of success, it seems only reasonable to look at objective evidence. My track record with these cases is self-evident. I received a 90 day IRP 30 day vehicle impoundment on Sunday morning for failing to give an adequate breath test. If you could call me ASAP I would be grateful.